This is a new project I've made aiming to manage the various databases as easily as possible. 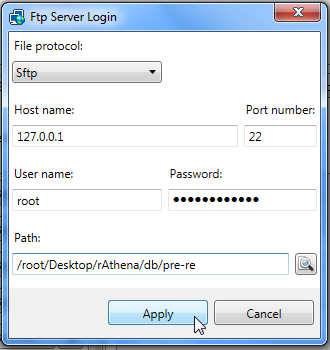 This tool was initially developped using Client database editor's engine, a tool from GRF Editor. It has been adapted to support more database formats and many of the features have been improved. Download the zip archive provided from the download link at the top right corner of this description or directly from there : http://www.mediafire.com/download/p0zhcc8ipa6cjt3 . Install the application with SDE Installer.exe; if you are missing a .NET Framework you will be prompted to download it. Once you are done, you can start the program from the link on your desktop. Both rAthena and Hercules' formats are supported by the application. Many conversions between rAthena and Hercules are possible. Converting items can be done simply by right-clicking on the elements and selecting "Copy entries to clipboard (ServerType)". Undo and redo commands are available, as well as navigation commands (quite useful when switching tabs a lot). There are many shortcuts within the application, all of which are shown when right-clicking items or going through the menus. I do plan on adding more as well. The databases are 'merged' between each other to offer an easier view. This is true mostly for the item and mob databases. Flag fields can be entered with either an hexadecimal value or an integer value. You will have to add "0x" if you want to enter an hexadecimal number though. For Windows XP users, the program's layout may change a bit. The Aero theme is applied to make sure the application looks like it should. 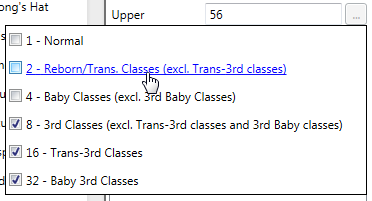 Can copy or replace a range of attributes from the selected item to other items. Can synchronize with the client tables. Create a new project from File > New project. Go in the settings tab and set the path of your database. If you're using pre-renewal, then drop the pre-re folder in the "Server DB path" box (drop the re folder otherwise). Don't drop your "db" folder, it needs to be a subpath! Save your project file to avoid redoing this step everytime you reload the application by going in File > Save project info. The project info file is automatically saved, so you don't need to save it everytime you do a modification in the settings. If you associate .sde files with this tool, you will be able to start up your project from the project file directly (which is more convenient). The last setting is the resource files and it is optional. 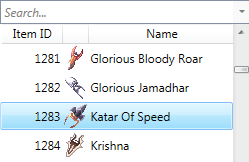 Simply drag and drop a GRF in the paths list. This will add icons in the items list view (it will also make the application slower when scrolling for that list). All the fields are easy to set and most of them have tooltips. 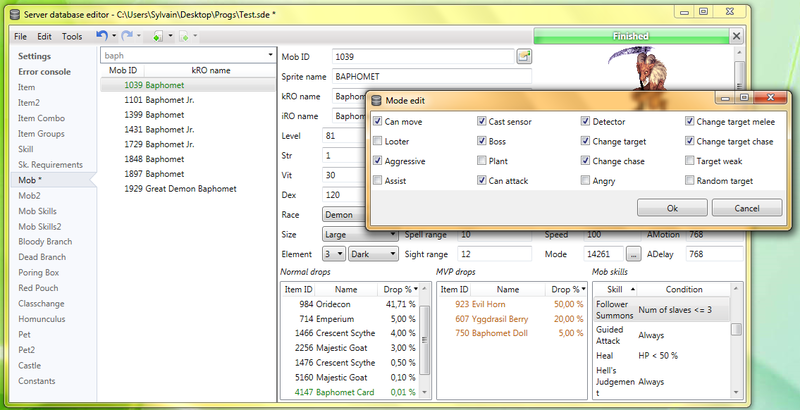 For example, to edit the drops of a mob, simply right-click on the items and change the drop value (both float and integer values are accepted in the field : typing 5.20 is the same as typing 520). There are multiple ways to save the database : quick save, full save and export. keeps the commands you've applied on the database (Ctrl-S), this is the saving option you should be using. (File > Export to db/SQL) exports the database to another folder and this is normally used to convert databases. When saving, the comments are preserved as much as possible, but this is not always possible. For example, the items table from Hercules is always rewritten, so the comments will be lost in this file. Unmodified tables will not be saved. Disabling a tab will also prevent the associated table from being rewritten/saved. This can be achieved by right-clicking on a tab and selecting "Disable 'table name'". Well, this feature doesn't need much explaining. Select your text and change the color. The first color cell is the currently selected color, the others can be modified to any color you want by right-clicking on them. You can export your current database to SQL from File > Export to SQL > ... The first option in the list is the current database format. The other options are used for conversions between rAthena and Hercules. The application automatically creates backups everytime you save the database (can be disabled in Settings > Enable backups manager). You can revert to a previous date by going in Tools > Backups manager. This tool's purpose is to make sure you never lose any important data (as well as preventing data corruption). It is possible to merge databases by going in Edit > Add item from raw db line. Simply copy and paste the lines from the database you want to add. You must select the corresponding table before doing so, of course. (Known bug : adding lines with invalid parameters will put the database in an invalid state). 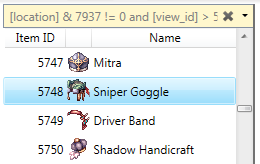 There is support for Notepad++ to easily find items in a text (or conf) database. Right-click an item and use "Select in Notepad++". The search engine is the same used as CDE, so it should make it easy to find an item. 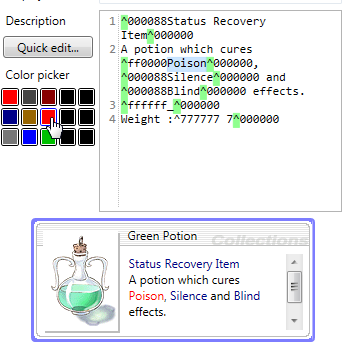 There is also a hidden search option : if you type "[number_of_slots] 4" it will give all the items with 4 slots or "[refineable] true" will give you all refineable items. 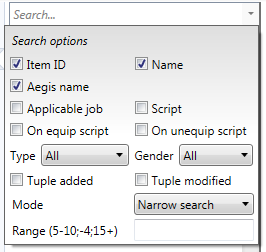 This can be applied to any attribute in the table which are not shown in the search panel. You can also use the conditional search features. Hope you enjoy this tool! The sources will be available on github for the next release. If you have a feedback or suggestions, let me know and I'll probably add them to the software. [Fixed] Download link was down, again. wow, greatest tool, thank for sharing!!!!! Thank you for amazing program! I really needed a mob editor for Hercules. Thank you so much again! How do I add monster skills? I try to right click but there's only "paste"
If you select another mob for instance, you can right-click its skills and use Copy, then use Paste on your own mob. If you select an existing skill from Mob Skills, you can copy it (with Ctrl-C) and use Paste on you own mob as well. If you want, I could add the "Add" option, but it'll only create an empty mob skill and you'd end up having to fill in all the information yourself from the Mob Skill tab anyway...! I'm sorry, but you have misunderstood me. What I meant was to add a skill to mob. How do I easily add skills to the custom mob I made? Thanks for that info though, I can use that in future! is this compatible to the new version of hercules emulator? Hi @Tokeiburu do you have an updated one that is compatible with hercules?